IBA invites you to an Open House! 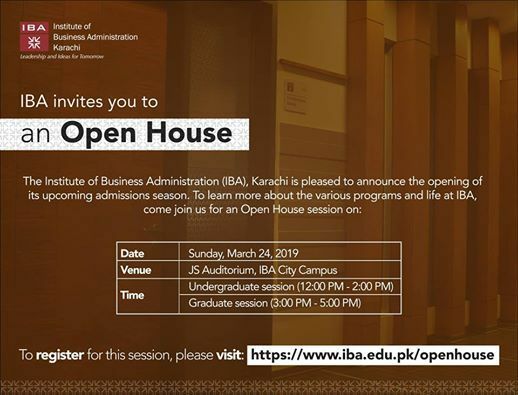 The IBA Open House will provide a unique opportunity for prospective students and their parents to visit IBA and learn more about the Institute first-hand. The session will be interactive and faculty will be present to help students make decisions on what they would like to study. The session will showcase all undergraduate and graduate program offerings. Students and their parents will have a chance to talk to the staff and current students and discover what future university life is like. We are here to help you make an informed decision about your career path.